Whenever we do Poori we do it out Maida most of the time.. It has been long time since I did by using wheat flour. Since I already had a maida for the week I have decided to do with Wheat. Mix wheat flour, maida, salt, cooking soda together. Cover with a damp cloth and keep it for at least half an hour. Heat Oil in a kadai and keep it in medium flame. Make small balls from the dough and roll it to small circles. 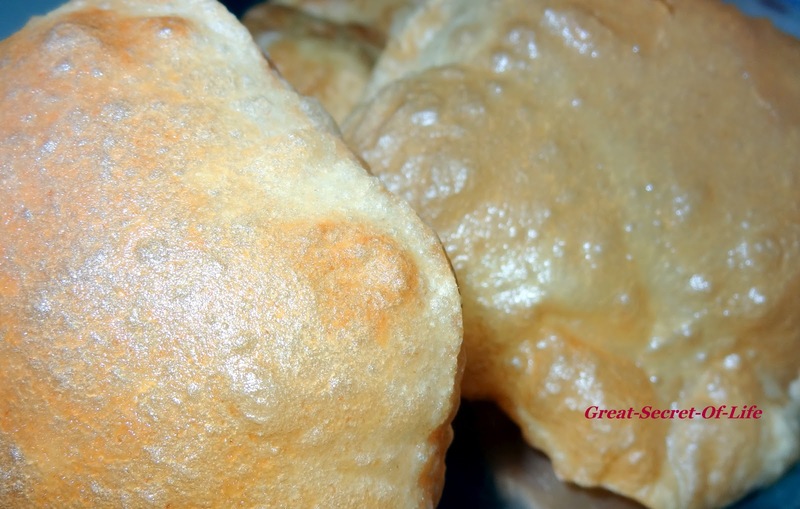 The poori should not be too thin or too thick.